Maggie McGhee has been appointed executive director - governance at ACCA (the Association of Chartered Certified Accountants), taking up her position on ACCA’s executive team on Monday 1 October. The appointment has been made due to the early retirement of Peter Large, who has been executive director - governance since 2008 and who will leave ACCA at the end of September 2018. Maggie is currently the director - professional insights and joined the global body for professional accountants in 2016. Additionally, she has been covering as interim director – brand and corporate reputation since May 2018. 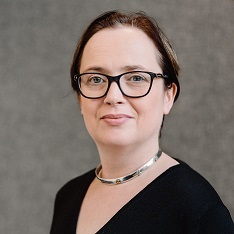 Helen Brand OBE, ACCA’s chief executive, says: ‘In just two years as our director - professional insights, Maggie has significantly contributed to ACCA’s leadership of the profession. She’s successfully directed a team of talented subject experts, publishing a wide range of engaging research from the impact of the global economy to social mobility to tax policy, as well as focusing ACCA’s public affairs activities around the world. ‘Maggie brings a wealth of experience to this role. She has a deep understanding of the profession and the need for it to deliver public value. With over 18 years’ experience of auditing central government bodies, Maggie has played a key role as an influencer in the auditing and accounting profession during her career, sitting on a number of working groups and committees including the Financial Reporting Council (FRC) Audit and Assurance Council, the European Public Sector Accounting Standards (EPSAS) Working Group, HM Treasury’s Financial Reporting Advisory Board in the UK, and the Accountancy Europe Public Sector Working Group.